Solutions Provider transaction expands portfolio of hosted and managed services. 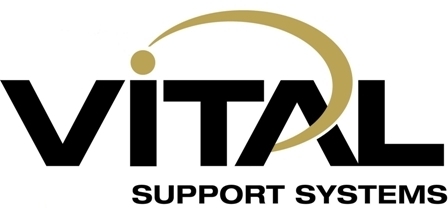 Telephone and Data Systems, Inc., (NYSE: TDS) parent company to TDS Telecommunications Corp., today announced the acquisition of Vital Support Systems, LLC (Vital), headquartered in Des Moines, Iowa for a purchase price of $45 million. Vital generated annual revenues of $76 million in 2011. The acquisition brings deep IT Solution Provider capabilities and strong customer relationships to the portfolio of TDS Hosted & Managed Services, LLC (TDS HMS), a wholly-owned subsidiary of Fortune 500®, Telephone and Data Systems. Vital Support Systems, through its team of 140 employees, offers a comprehensive suite of products and services, including: planning, engineering, procurement, installation, and management of IT infrastructure hardware solutions from world-class Original Equipment Manufacturers (OEMs). The breadth and depth of technical certifications held by team members has allowed Vital to achieve the highest level partner status with its vendors, including: Cisco Gold, HP Elite, EMC Velocity Premier, VMWare Premier and Microsoft Gold. Vital has grown its service offerings beyond its Value Added Reseller (VAR) roots to include hosted and managed IT services that complement the TDS HMS portfolio of products. Vital has leveraged its market leadership position in Iowa to expand within the Midwest region, and now has offices in Des Moines, Cedar Rapids, and Davenport, Iowa; as well as Omaha, Neb., Kansas City, Mo., and Rockford, Ill. 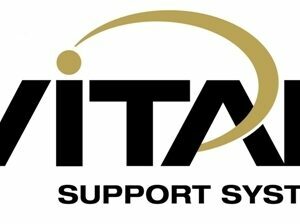 In March, Vital Support Systems was named to CRN’s 2012 List of Elite 250 for the second year in a row. The company also won Cisco’s prestigious Central Region Commercial Partner of the Year award in 2011. Sparling and the Vital executive team, along with their employees, will maintain their roles within the organization as TDS HMS seeks to enhance their momentum. During the last two years, TDS Hosted & Managed Services, LLC has made multiple strategic acquisitions to position itself in the fast-growing hosted and managed services arena by adding: ERP leader OneNeck IT Services in June of 2011; VISI Incorporated in March 2010; and TEAM Technologies, LLC in Dec. 2010 to build its portfolio of Tier III data center and hosted service operations. TDS Telecommunications Corp. maintains management responsibility for the operations of OneNeck IT Services, VISI Incorporated and TEAM Technologies LLC through its newly formed TDS Hosted & Managed Services, LLC division. TDS Telecommunications Corp. also manages the operations of VISI Incorporated, TEAM Technologies, and OneNeck IT Services Corp. through TDS Hosted & Managed Services, LLC. These companies employ more than 400 people who specialize in providing hosted application management, managed hosting, cloud services, and next generation data centers. Visit www.visi.com, www.team-companies.com, and www.oneneck.com for details.